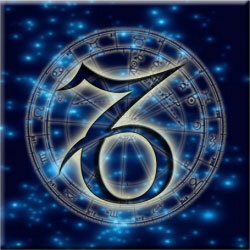 I have been crazy about zodiac signs since I was a kid. I personally own copies of Linda Goodman's Sun Signs, Star Signs, Love Signs, and Relationship Signs. And I never fail to check out any website that gives information about the zodiac signs, or even any Facebook app that promises to tell me more about my zodiac sign - Capricorn. This is a post I first published on 8-Aug-2009. It is the result from one such Facebook app, created by some website that may or may not exist anymore. I have given its URL at the bottom, so you can check it out if you wish to. The FridayReflections prompt on Sanchie's blog this week reminded me of this post. So I'm updating it and re-posting it today, to link up with her prompt. I have added my own personal notes to these results in maroon color. The animal symbol applied to Capricorn is the goat. Unlike the dependent, creative and countrified Goat in the Chinese horoscope, the Capricornian mountain goat is a striver and a loner (So true! ), an ambitious, deliberate achiever, and an adorable (I think you guys will be a better judge of this!) person to know. Capricorns prefer competition. The Capricorn subject is always either on top of the heap or moving-slowly but certainly-toward the summit of his field. (Not too sure about this.) Like tall evergreens, they withstand the snows and heat, the wind and rain. (Oh yes! Long after most people would have given up!) Capricorns are winter people. They can hold their heads higher and longer than all the others and somehow never appear to be pushing. In general the Capricorn subject is as rigid in his body as in his high-minded principles. He may be good at games that demand corporal discipline, but in areas that call for supple smooth body movement (That includes dancing! ), Capricorns are challenged. Capricorn children fall a lot. (OMG! How did they know this? :-O) Capricorn adults are clumsy. (By 'clumsy', do they mean that we tend to slide down stairs and walk into glass doors?) You want to warn them, "Be careful. Watch where you're going. Take smaller steps. Slow down. Relax." It is of course impossible for Capricorn to relax. (Sighhhhh!) He is always on the qui vive, responsive to each new invitation to achieve. You can always count on Capricorns to come through in times of trouble or need. (Absolutely!) They are charitable to others and eager to assist those in difficulty or illness. This is one of the most accurate astrological analyses I've found on the net till-date. If any of you wishes to find out about your sun-sign, you can check out "http://www.cutehoroscopes.com/". I wonder why it gives the heading as "The SEA Goat" though... Capricorns are always referred to as "The MOUNTAIN Goat"! 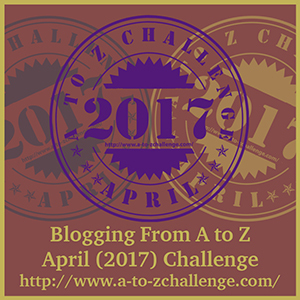 And it is time for the madness to begin again... the April A to Z Challenge! If you don't know what this challenge is about, read the post A-to-Z. In 2015, I joined in at the very last minute, with my series on A to Z of Blogging. I intended to turn that series into a kindle ebook, and, after procrastinating on it for a whole year, I finally managed to do that before the April A to Z last year! Please check it out on Amazon Kindle! 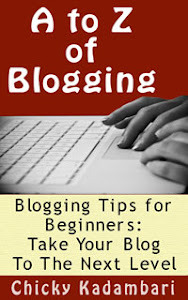 You'll surely find it useful if you're into blogging. Alternatively, you can also find the entire series right here on this blog, at the link given in the above paragraph. So what's in store this year? Actually, this year, I'm going to complete the series I started last year, i.e. in 2016. As many of you might remember, I injured my shoulder last year, and couldn't continue beyond 'E', with all those extensive physiotherapy sessions multiple times a day. This year's series is going to be on the A to Z of "Happiness". That's the whole point of living, isn't it? 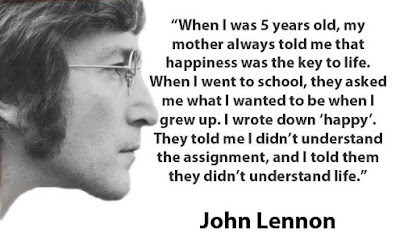 To be happy. And happiness is nothing but a state of mind. So how do we achieve that state of mind? 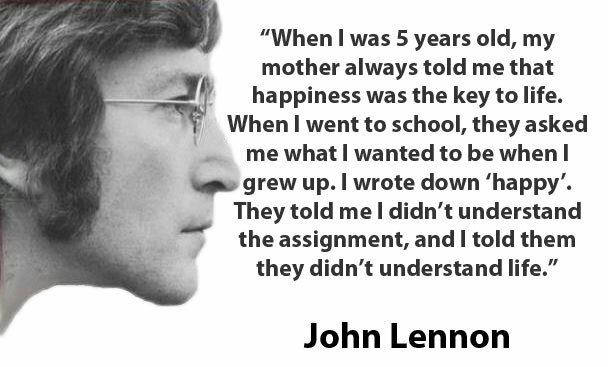 What do we do that puts our mind in the state of happiness? This is what this year's A to Z is going to be about. I sure hope to complete it this time! I mean I've already got the first five posts written! Only 21 more to go! Seems doable. And hopefully, I'll get another ebook at the end of it. All the best, bloggers! Let's pace ourselves, so we don't burnout midway into the challenge. And let's all have fun! As usual, I will be updating this space with links to each day's post as I complete them. So stay tuned. I just came across this old post of mine. I originally published it on 26-Jan-2008, and as I read through it, I realized that even 9 years later, this remains the strangest day of my life! Sharing it once again here for my new readers. It was more than a year ago that I first experienced the phenomenon of remote sensing (or maybe that isn't what it's called technically!)... when a person sitting in an online chat with me (and that too a practical stranger, who hadn't even met me till that time!) told me stuff about what I’d been feeling that time, being kilometers away from me! And he did this not once, not twice, but repeatedly! Told me which part of my body had been hurting. Told me about my sister when she was feeling hungry. And so many several other little things! Needless to say, I had been immensely surprised and curious as to how he did this! He told me he had learnt this technique when he attended the Silva Mind Power workshop. He told me that after getting your brain state down to the alpha level, it was possible to "feel yourself" in "someone" or even "something" else! Like... "if I were that cow on the road, how would I feel?" Well, whatever he said made absolute sense from a logical point of view. I mean, basically, what he was doing was that he would simply "jump out of his own body" into that other entity, for a fraction of a moment, take stock of "how things felt in there", and then "come back in his own body"! Simple, right? So I thought I should give it a try too. First step required was to get my mind into that miraculous "alpha state". Took me several months to master the technique, but now I can easily relax my mind to achieve that state within a few minutes, even in a room full of chattering ladies (make that "chattering gentlemen" in my case, ‘coz the men in my extended family seem to talk louder than the women, and hence they are the only ones whose voices can be heard at any given point of time!)... or a crowded bus... or with the TV blaring in the adjoining room! 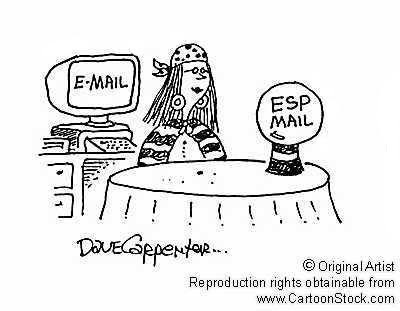 But try as I might, I couldn’t master that "remote sensing" thing! Then I read someone's blog today, and I came across these lines in it, "Like the ventriloquist who throws her voice behind a ball one minute, under a table the next. Consciousness can be thrown into a dot, into a line, into a human form, into a thought form or directly into Heaven. Crossing the veil, moving through dimensions is nothing more than shifting consciousness from one location to another. Be the dot. Be the line. Be your form. Be now. Be here." Well, the idea sort of registered deep down, in my psyche somewhere. A little while ago, I had taken a break from work and was doing some self healing, lying on my bed. I had turned on one of those Brain Wave music tracks... you know, one of those *in* things these days, that help in altering the brain states. So I was listening to that track and was doing touch Reiki on my own body. I was in that "blissful state between wakefulness and sound sleep". I knew exactly what was happening around me, but my mind was deeply relaxed and was open to any kind of suggestions that time. Anyway, while I remained in that blissful alpha state, suddenly a stray random thought would go floating into my mind, wouldn’t be able to create any disturbance there though, and would eventually disappear on its own. I continued moving my hands around on different parts of my body, as taught in The Reiki Level I touch-healing procedure, though not in the specific order taught to us. Finally, one hand landed on my Solar Plexus Chakra and the other on my liver. And I could sense a sudden increase in the flow of Reiki from the hand over my Solar Plexus. Then suddenly, the thought about "being that dot, that line" wafted into my mind! The one from that blog I read earlier today. And immediately after that, another thought followed suit... "Be a tree?" No sooner had this thought entered my mind that I felt a sudden change in myself! I had been lying straight out on my back till then, but suddenly I was upright! I mean I didn't really stand up... I was still lying on my back, with my hands where I had placed them, but I *felt* I was upright! And then suddenly I started splitting into branches from the top, which started spreading out until I felt they had become too heavy for me to balance! I felt I was going to topple over, but then, at that very moment, I started "growing roots" from the bottom. I felt like I was being "sucked" inside the solid earth! But then I got so shocked with what I had just experienced that I instantly sat up! Phew! Let’s see if I can repeat the same thing again... not today though... ‘coz I have to get back to work. Oh and we celebrated the Republic Day here in our building today! First time in 3 years, since we moved into this apartment, that there has been any kind of "community building" exercise here! It's been more than 9 years since I had this strange Remote-Sensing / Out-Of-Body Experience (OBE), and I've never been able to repeat it till now. Although I still remember, with perfect clarity, how I felt that day. And, if I'm completely honest, it was a little bit scary. Just the teeniest-weeniest bit. Anyway, I can't even get my mind into that mysterious "alpha state" now. With all the things that have happened since 2008, my mind is now full of stuff all the time... and you can't possibly be 'mindful' and 'mind-full' at the same time! Meditation isn't as easy for me to do now as it was 9 years ago. Even if it is more necessary.